Which Home Security Systems Offer the Best Security Cameras? Security cameras can help you keep an eye on your pets and children when you’re not home, discourage would-be burglars, and document crimes. When the cameras are paired with a good security system, you’ll also get alerts of unwanted visitors in your home. We researched the top companies in the industry to learn more about the security cameras available with each system. This should help you find home security systems with cameras that meet your specific security needs. Alarm.com is a leader in security equipment, and many home security systems pair monitoring service with Alarm.com cameras. Cameras from Alarm.com are standard for a reason—they’re reliable, versatile, and able to pair with lots of other equipment. Many security companies use the same cameras, but to get the most out of your cameras, you’ll also need an excellent home security system. If you’re looking for great equipment and the best overall security system, Frontpoint is our first pick. Frontpoint is the highest-ranked home security company on our best home security systems list because it offers excellent customer support, reliable cellular monitoring, and transparent pricing. It also offers three excellent cameras that you can pair with security system. This wireless security camera has a 110-degree field of view, night vision, and motion detection. When you connect it to your Frontpoint system, you can check in on your home while you’re away. It automatically records when it detects motion and stores clips so you can view them later. You can check these clips on the app, your control panel, or at myfrontpointsecurity.com. The wireless outdoor camera has many of the same features as the indoor one—it comes with night vision, starts recording automatically when it detects motion, and stores clips so you can check them later. It is also weatherproof and can withstand below-freezing temperatures. The SkyBell video doorbell has a 180-degree field of view and 1080p resolution. It has two-way audio, motion detection, and color night vision, and it can withstand temperatures between -40°F and 140°F. You can check the live view from this camera on your phone at any time throughout the day. It also lets you save videos to your Frontpoint account so you can review them later or share them with law enforcement or an insurance company. Link Interactive’s system is compatible with quite a few cameras. It works with SkyBell as well as Alarm.com’s fixed wireless indoor camera and wireless outdoor camera. You can also use Alarm.com’s Indoor Pan/Tilt Wireless camera or the 2GIG Indoor High Res Wireless camera with your system. The pan/tilt wireless camera has the ability to pan a full 350 degrees and tilt 125 degrees. You can manually control the camera through a desktop or mobile browser, so it’s easy to use even if you aren’t nearby. This camera has motion detection 720p resolution and infrared for low-light conditions. With both high-resolution and infrared, this camera is able to record footage in more situations. Protect America offers one of the more affordable security systems out there. It doesn’t offer as many cameras to choose from as some of its competitors, but you can use an Alarm.com wireless fixed indoor camera with 720p video and infrared for low-light situations. Brinks customers can get Alarm.com’s wireless outdoor bullet camera and the high-res indoor camera. You can also add the SkyBell video doorbell to your system. While Alarm.com equipment is an industry standard, many security companies also use their own equipment. If your priority is finding a system with great indoor and outdoor security cameras, we recommend Vivint. It offers reliable monitoring, flexible plans, and camera equipment with more features and capabilities than many other companies in the industry. Vivint excels by offering its own state-of-the-art equipment while also remaining compatible with third-party equipment like Amazon Echo and Nest. Vivint offers three cameras that can be paired with a security system. 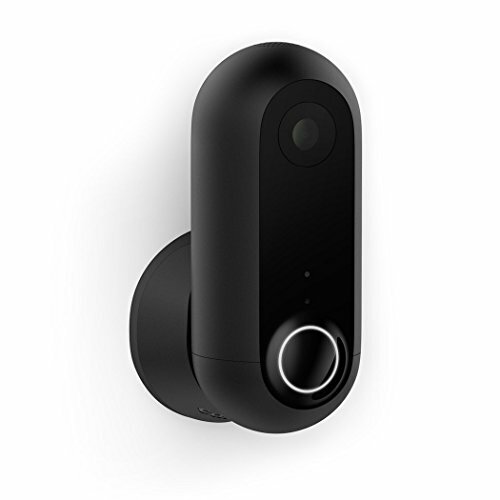 This doorbell camera has a 180-degree field of vision, two-way audio, night vision, and motion detection that knows the difference between a passing car and a person near your home. Since it integrates with the rest of your security system and other smart home equipment, you can unlock your door remotely if friends arrive at your house before you get there or turn on the lights to make sure your porch is well lit when someone comes to your door. 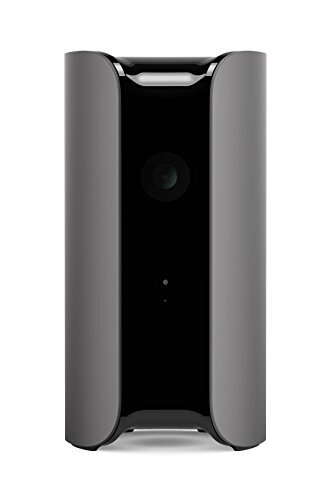 The Vivint Ping Camera is an indoor video camera that comes with a wide-angle lens, 1080p video, motion detection, and infrared night vision. It also comes with two-way audio, which is a feature that many other indoor cameras on the market lack. The high-resolution outdoor camera comes with motion detection and night vision, so you can keep an eye on things outside your home no matter what time it is. You can also use Vivint’s app to check a live feed of your camera whenever you want. SimpliSafe offers an affordable DIY, no-contract security system option. For now SimpliSafe only offers an indoor security camera. This indoor camera comes with a 120-degree field of view, 720p video, audio, motion detection, and night vision. It also comes with an adjustable privacy shutter, so you can control when the camera can see inside your home and when it can’t. ADT is one of the most recognizable home security companies in the industry and comes with lots of integration for home automation products if you want to control your lights, door locks, thermostat, or garage door. ADT Pulse products can be managed remotely, so it is easy to check on your home using your smartphone while you’re away. If you sync your cameras with your motion detectors, you can have your camera record when it is triggered and send you clips automatically. ADT systems are also compatible with the Ring Video Doorbell, which has motion detection, 1080p video, and a 160-degree field of view. Canary earned second place on our list of home security systems without monitoring. It offers two cameras—the Canary and the Canary Flex. This indoor camera has a 147-degree field of vision, two-way audio, 1080p video, motion detection, and night vision. It also comes with temperature, humidity, and air-quality sensors. This camera can be used inside or outside. It has motion detection, night vision, 1080p video, a 116-degree field of vision, a microphone, and a speaker. It is also weatherproof and can withstand temperatures from -4° to 113° Fahrenheit. There are dozens of home security companies to choose from, but cameras will be a valuable addition to your security system no matter which option you choose. Does your security system have security cameras? Have you found them helpful? Share your thoughts in the comments below.